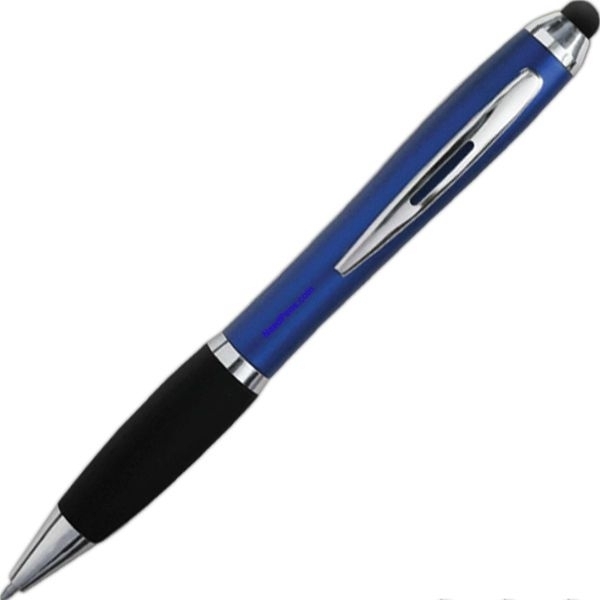 Twist action pen, one side can be used for your iPad other side is a great writing pen. High in quality and low in price. 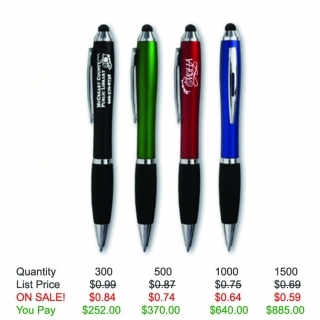 Need Custom Printed Pens in a Rush? 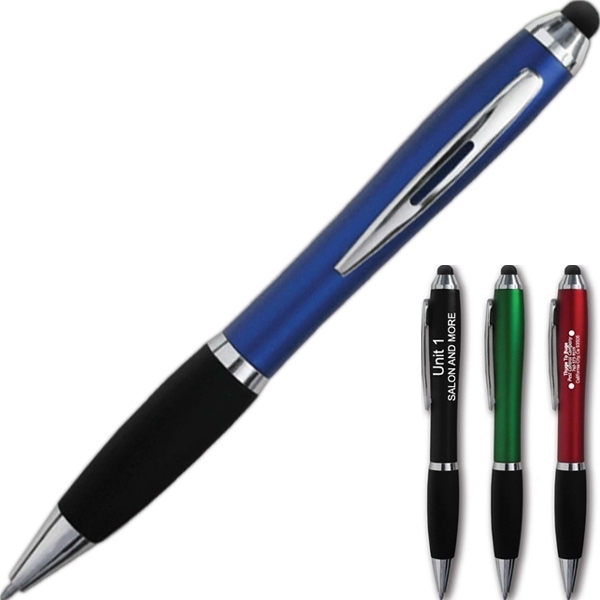 Custom pens for advertising and promoting your event or occasion. 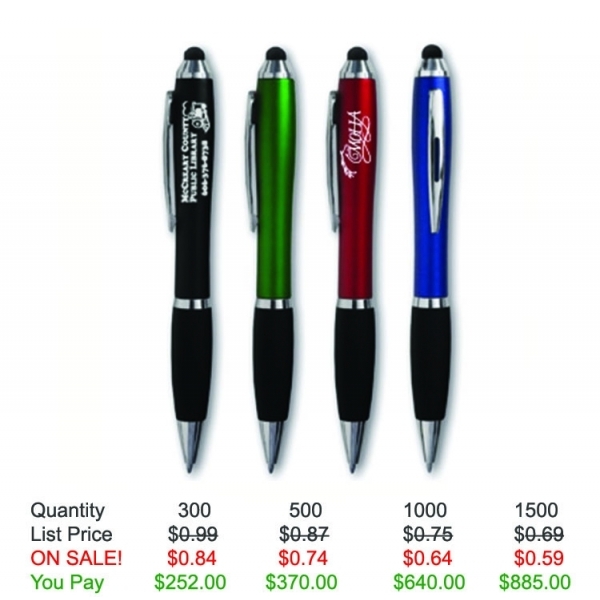 Promote your business with Custom Promotional Pens. Save on this custom pen with FREE setup, FREE rush service, FREE artwork and FREE shipping. Product Features: Colored barrel with black grip and silver accents. Shipping Weight: 18 lbs per 500 - FREE Shipping! I was very happy with the service and the quick response when ordering the ibasset. All customers just love them. Thank you!